Are you looking to buy Bridal Jewellery Online? 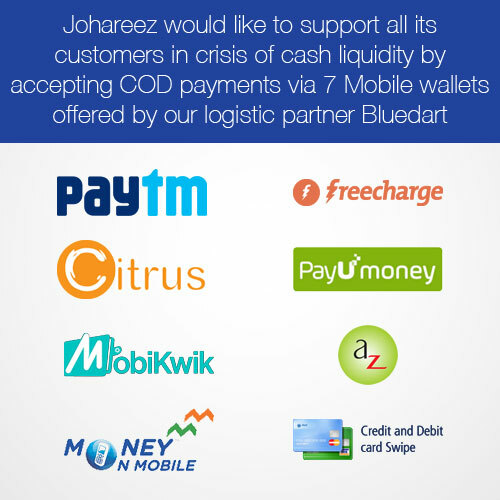 Then search no more as Johareez.com is proud to present BridalMe. An assortment carefully procured from various sources and brought under one roof, truly dedicated for all brides to be. Tying the nuptial knot is a very intricate task, as it brings with it loads and loads of responsibilities for shopping Jewellery from everywhere. So if you’re searching and you want to look really special & stand out of the crowd, then there is nothing better than BridalMe. Look no more and grace the most important event of your life in some traditional Bridal Jewellery with BridalMe Collection. Some jewels speak for themselves and others speak about your style! With novelty of fresh innovation in designs, these featured bracelets tucked along with tiny enameled prettifications, the Charming collection makes sure to reveal the special charm of the wearer. No matter whether you are rocking like a rock star or sweet like a cookie jar, these tiny little enameled goodies in form of teddies, musical instruments, locks, hearts, bears and many more such goodies will surely steal everyone’s heart. So carry the charm on your arm with this cute collection of sterling silver charm bracelets. Diamblu celebrates true and confident love with their 18K Gold Diamond Rings Collection. Exceptional and exquisite. Natural diamonds are incredible treasures from the earth with beauty beyond compare. They are exceedingly rare and their value multiplies over time. Diamblu diamonds are absolutely superlative - each with a story of its own to tell for always. When you want colors, Enamelour delivers!. The collection brings you the royal touch with the feel of fashion and trend with its hottest vibrant colors to match these pretty jewels with any attire. 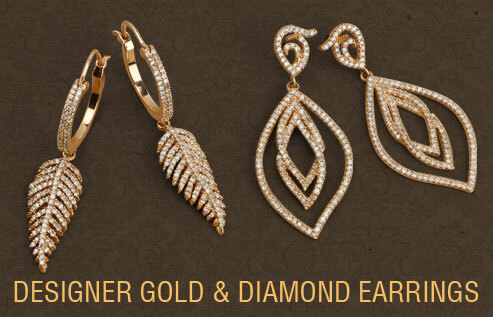 The Enamelour collection consists of ravishing looks in rings, earrings and pendants. A picture is worth thousand words and this enameled jewellery would reflect your unique style with astonishing colors. So splash your style vibrantly with colors this season with the Enamelour collection. The art of making crystal portraits or crushed gemstone paintings has only been professionally developed since the early 2000. As simple and beautiful the end product might appear, the making of mosaic gems art set in jewellery is a whole new way of expression on its own. Gemartini brings you various motifs of nature which you can wear as pendants, where ever you go, for any candid occassion. You are simply expressing yourself with these conversation pieces! You just gotta love them! As they say true beauty lies in the eyes of the beholder, however the increment of natural beauty lies in right makeup, attire and matching jewellery. Jewellery and accessories collectively play an important part in imparting the ideal look. The selection of perfect jewellery personifies the values & traits of any ones true personality and thus, fetches compliments therefore. Gleam Touch's jewellery collection features pendant sets, earrings, bracelets and rings finely studded with cubic zirconia showcasing an elegant look while maintaining an affordable approach to your spending. The brand sports finest polished jewellery made with intricate designs and excellent craftsmanship. Every piece defines sophistication in its own unique ways. So flaunt your pride with Gleam Touch jewellery and begin your jewellery shopping spree now. It is said that time and tide wait for none, but this Good Times collection has been crafted with ample time to make it a masterpiece amidst your precious collection of accessories. Casual or formal, both looks would be incomplete without this charming compliment on your wrist. Good Times features gamut of elegant watches studded with the finest handpicked gems on its belts. Studded stones would compliment whatever you put on and would fetch compliments coming your way. So capture the charm on your wrist with Good Times. Jewellery & tradition go hand in hand and Indian Touch brand makes sure that the touch of tradition never gets fade or subsided. As the name itself unfold the secret of the rich Indian beauty which is carefully infused in designs of every jewel by Indian Touch brand. Attractively & artistically designed earring, necklace, pendant sets finely crested in 18K yellow gold, precious gemstones, like amethyst, emerald, ruby and many others are forte of this collection. Perfect finish and premium classic designs make this collection outstanding. So crown yourself in the ancient beautiful glory of Indian Touch. Gemstones in a striking spectrum of colors & cuts. Inspirations features unique design elements inspired by mother nature. This distinctive collection offers one of a kind jewellery designs which carries its own individual personality & pure simplicity. Truly inspiring! We took inspiration from the beautiful heritage city of Jaipur when curating this eye-catching collection. Pick from our selection of standout alloy american diamond jewelry studded with vibrant fashion gemstones in multi shades of reds, blues, greens and other eye soothing colours. Add a versatile pop of color to every ensemble with these must-have accessories. KLG Exim Pvt. 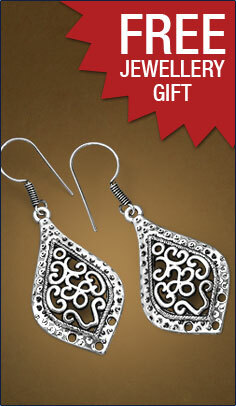 Ltd. is a leading manufacturer of .925 Sterling Silver Jewellery set with Precious & Semi-Precious Gemstones. Our key strength consists of rings, earrings, pendants, bracelets & necklaces set in diamonds, tanzanites, morganites, emerald, ruby, sapphire, amethyst, blue topaz, garnet, peridot, citrine and many other natural gemstones. KLG also curates fine and fashion jewellery from all over the world and brings incredible fashion deals to your doorstep. My new exclusive men's rings line by Johareez.com is designed keeping my personal taste in style: simplicity, elegance and affordability. This collection will enhance the personality and appeal of men of all ages and instil a passion for men's jewellery and accessories. It has for me, it will for you. Gracefulness, durability and doubled up affordability! If that is what you are looking for then there can be nothing better than this Richlady collection which is exclusively dedicated and crafted for the inner diva of every female. This collection brings you the royal touch with the feel of fashion and trend with its hottest vibrant colors. You can match these pretty jewellery pieces with any attire of your choice. Dazzling designs with a touch of traditional looks is the most enticing factor of this brand. Earrings studded with finest jewels with gold plating surely do exhibit the grace of feminism and embosses the chic cut and mold of stones. So why to wait when jewellery can do all the talking about your fashion quotient to highlight you as Diva, adore the Richlady collection now. To keep the charm of silver sizzling forever, Silvantra collection showcases the finest blend of Marcasite along with other precious gemstones, set in gorgeous sterling silver. 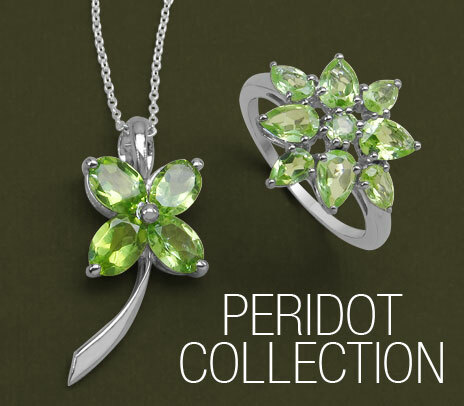 The collection features, rings, earrings, pendants, bracelets and necklaces with a huge variety of dazzling designs. Charmingly crafted and crested with natural gemstones, the silvantra collection would add stars to your style with a touch of grace. Another star adds up to the glory of this sparkling dark metal with Silverona, which comes with silver collection of gold plated sterling silver rings studded with cubic zirconia. There is sterling silver black onyx enamel rings enticingly studded stones with onyx enamel, which are eye-catching. 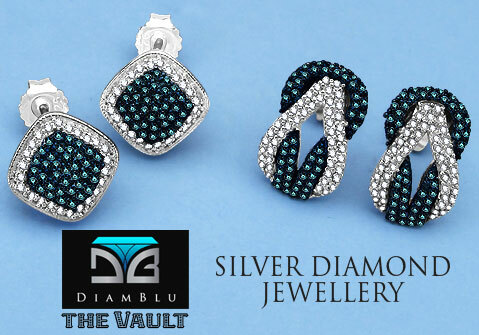 Yet another beautification object comes with genuine blue and black diamond set and sterling silver rings along with pearl & white cubic zirconia earrings in gold plating are made to the tailored tastes of everyone with countless designs. With the radiance of stones and silver combined together, this Silverona collection will make your heart flutter. Its elegant contrasting chic designs and combo make it a perfect jewel collection to treasure. Suraabi specializes in high end brass jewellery. The new collection encircles a vast range of brass pendants, necklaces, rings and earrings embellished with genuine jewels. The matchless jewellery assortment infuses a stylish yet soft and elegant touch to your attire. These stunning designs are great to ornament your fashion statement as well as setting new trends in the vogue, especially for youngsters looking for adorable designer accessories at affordable prices. Generation X has always bent on showing and flaunting that ‘X-factor’ in them. Be it, apparels, accessories or jewellery items, this juvenile generation always wants more and more with unique flavors. When funk and junk is the mantra of the era, the whole outlook towards picking the right accessories for attires gets a bit tacky. As trend is taking new turns at every road and so are the jewellery and accessories planned, designed, packed and promoted in the latest pomp and show way. Yes! It’s no doubt that it’s time for Tashan, passion and impression for today’s youth. Leather and rubber made, bracelets, metal rings for men and robust looking necklaces, unisex wedding bands and pendants are on showcase of this collection which will compliment any rough and tough robust look. Showing your true style in vibrant colors would never have been so easy and smooth with the available gamut of colors like red, green, blue and purple, and others of course. 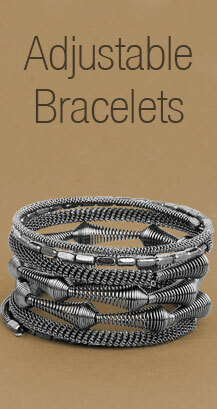 The steel circular clasp used in the bracelet and bands ensures the durability of the bands and bracelets. Silk is also used in strings of some bracelets and bands with the steel lock to ensure the longevity of your rocking bracelet. Rings made with metal are finished with perfect tashan with passion look to show your style. So what are you waiting for now? Show your style with this Tashan collection on Johareez.com with head held high. Show off your TASHAN!